Open the uTorrent Program through the "Start" button, then "All Programs." Right click the uTorrent icon, bottom right of screen, click on "Hide/Show uTorrent" to open uTorrent window. Step 2 - Open the "Preferences" window thru the Options Menu. Select and copy the port location listed for "Port used for incoming connections:"
This is the first step in a three (3) part outlined process, to enable, configure, then set the connection for a communication link to Media Center Master and uTorrent for the integration feature. 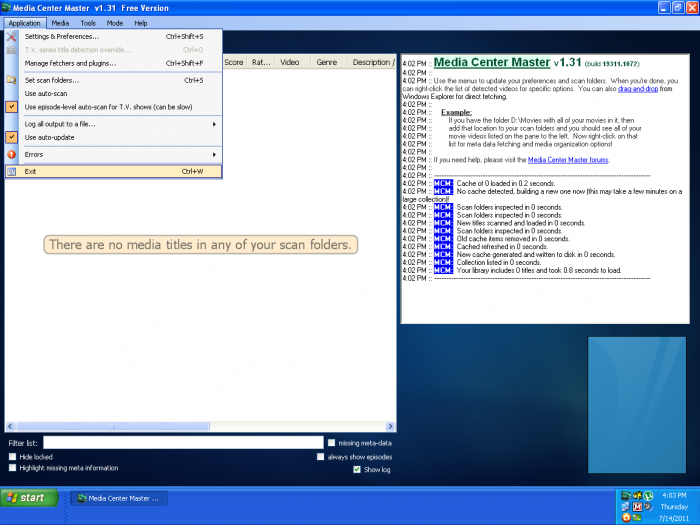 It is suitable for all new users of Media Center Master. The port number being pasted into Media Center Master, was determined by uTorrent. 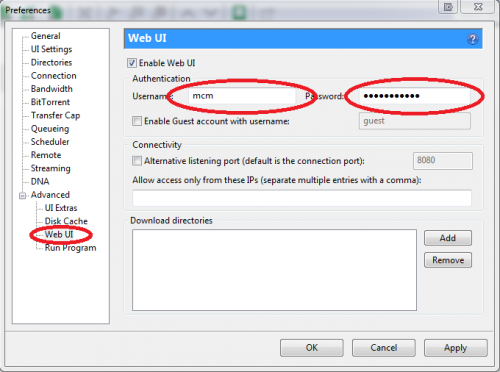 Paste the port location from uTorrent into the area for "port:,"
Enter "localhost" (without quotes) in the area for "WebUI I.P. or hostname:,"
Tick the check box for "Turn on uTorrent integration features,"
Tick the check box for "Automatically clear seeding and finished torrents"
Step 4b - Switch back to uTorrent with the "Preferences" window open, leaving Media Center Master - "Setting & Preferences" window open, then choose option #1, or option #2. For uTorrent v3.0.0 users, continue to Step 4c. Select and copy the "Username:,"
If you lost, or forgot your password, re-enter the password, write it down, tick "Apply" to enter it into uTorrents user settings file, then continue to Step 5. Do not attempt to select and copy your password, as you will lose your username. Do not try to switch between the two programs to copy and paste the username, then copy and paste the password. 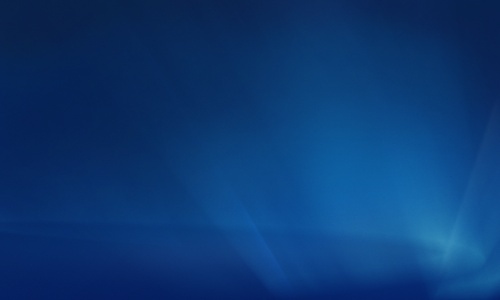 Both programs will block the password out after it is entered, a copy/paste will not work. This is the second step in a three (3) part outlined process, to enable, configure, then set the connection for a communication link to Media Center Master and uTorrent for the integration feature. 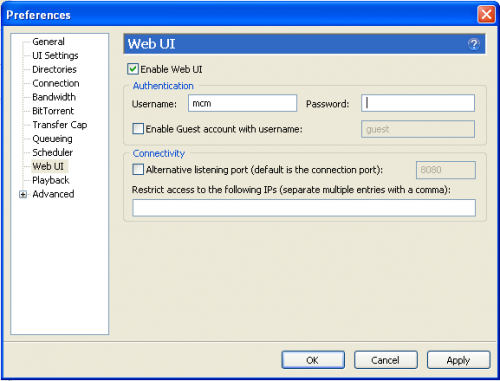 The user name and password entries are used for uTorrent's security protocol to gain access to it's Web UI feature. After clicking the "Save" button, the changes are saved to the different Media Center Master's registry key, string values. At this point, should there be no user errors, and no internal system conflicts of any kind, a communication link is set and established. Click the "Save" button to close the "Setting & Preferences" window. Step 6 - Exit Media Center Master through the "Application" menu.